There are plenty of amazing and fun winter activities to revel in Chamonix. When heading into the mountains, there are degrees of risk and it is advisable to take the necessary precautions. Knowledge of how to use that equipment? Do you have enough information about the location? What weather is forecasted and the current conditions? Do you need a partner, mountain guide or making others aware when you’re heading out alone? Are you fully insured in case of an accident which includes search, rescue and repatriation? A helicopter rescue without insurance is estimated to cost 2,000€; transportation from the bottom of a lift station to surgery/casualty roughly 200€; and of course there are the medical and pharmaceutical bills after. You can check out our post Ski Insurance in Chamonix for more information about coverage options. When you embark on any activity in the mountains, it is always wise to seek the advice of those in the know. The Office de la Moyenne et Haute Montagne, near the tourist office (Place de l’Eglise), is just the place to do this. There are experts available all year round to offer advice and information, in French and English, to the experienced and inexperienced alike. They can also provide information on weather forecasts, state of the trails (snow coverage etc), refuge opening and closure dates and general advice on your choice of route to help you plan your adventures. Check out the daily snow report on the CMB (Compagnie du Mont Blanc) website for the latest resort news and snow conditions. 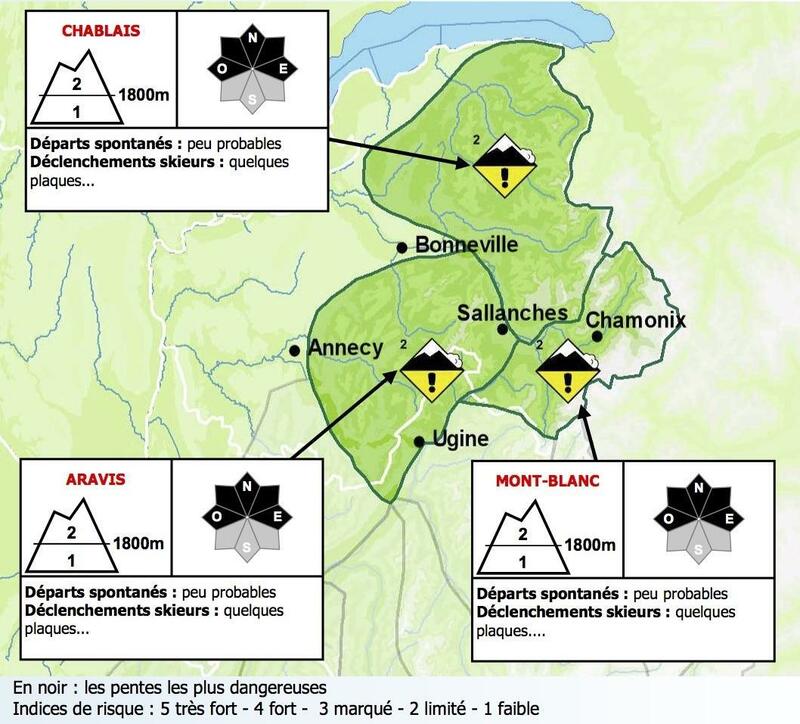 We also recommend the Meteofrance website which supplies detailed information on avalanche risk and weather forecasts for France.